What are the full steps to unistall opera completely? If you uninstall Opera, the uninstaller should as whether to remove your user data - if you say yes then you should only have to worry about a registry cleaner. Note that the "Opera" folder in your screenshots is from Opera 12 or earlier or Opera Mail, and of course current versions will not remove that. 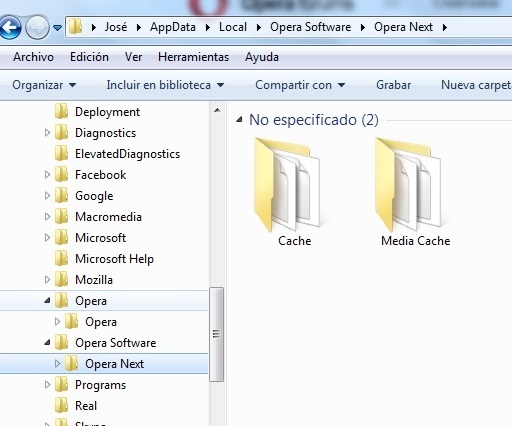 If you do want to keep current Opera, it is safe to delete old versions from the application folder. 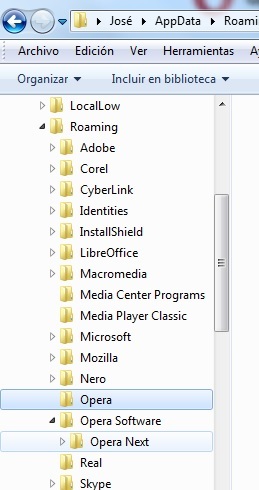 In Windows 7 Pro 64-bit, I find that the Windows Control Panel's Uninstall Software dialogue lists both Opera 12.16 and Opera Stable 32.0.1948.69. I presume, then, that although they are both installed in C:\Program Files (x86)\Opera, when I decide that I am satisfied enough with Opera 32 so that I don't need Opera 12 anymore, I can use Control Panel to uninstall v. 12 without damaging v. 32. Correct? 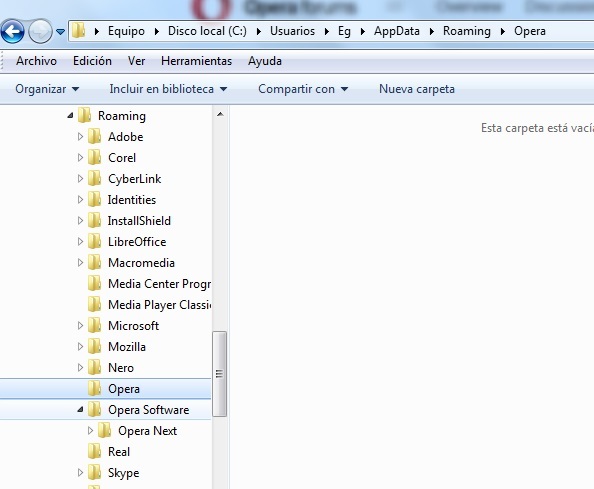 If I don´t uninstall everything about opera, when I uninstall every version of opera alpha beta any... at the moment of install a new version of opera, before sync, opera find in the PC an old bookmark bar, old extensions, old data, so the new installed version is littered, polluted with old data, extension, bookmark bar, so it is why I am interested in find a way to delete any info about opera. You have to tell the uninstaller that you wish to delete those users files when you run the uninstaller. If you failed to do that at the time of the uninstall you will have to go to the old profile locations and delete them manually. If you had Sync enabled, you may also want to disable that so that when you enable sync in the new version you can start clean.